This Zambia Safari: Remote Luxury Package was designed for a couple in their 30s who wanted a luxurious, authentic, and intimate experience with Zambia. This was their first trip to Africa, so we arranged a 14-day safari tour that allowed them to relax at 4 remote camps and take a variety of safari excursions at their leisure. 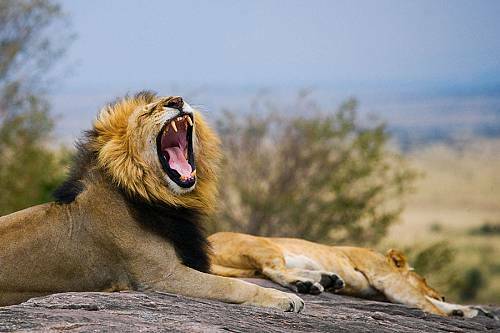 They began with 5 nights in the quiet Lower Zambezi National Park. 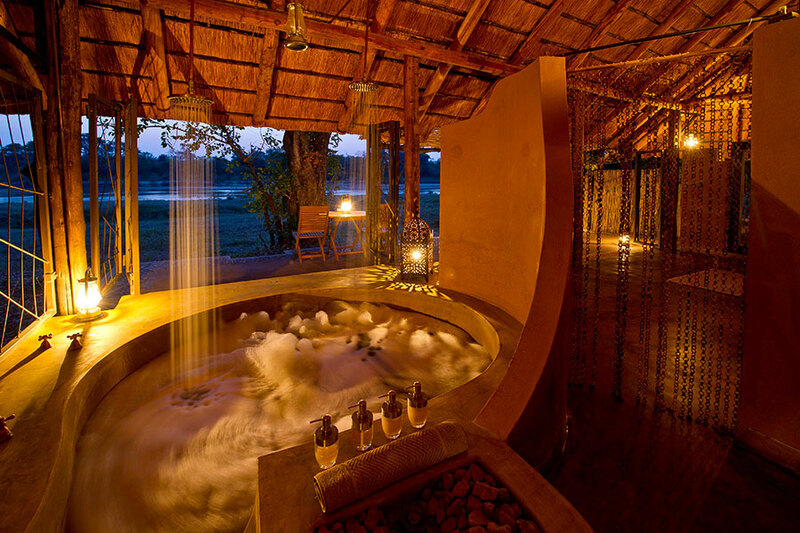 They stayed at 2 of Zambia’s luxury resorts: Chiawa Camp and Old Mondoro Camp. They had an intimate wildlife experience with rooms overlooking the hippo-inhabited waterways and several elephants milling by within touching distance during breakfast. In between expertly guided day and night wildlife safaris, they lounged in their luxury suite, took dips in the pool, and enjoyed a romantic, private dinner on the sand overlooking the Zambezi River. 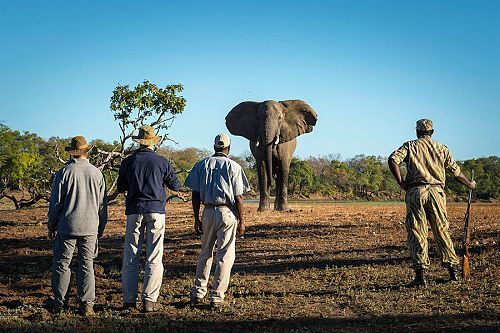 Their Zambia Safari: Remote Luxury Package continued by flight to their accommodations at the secluded Tafika Camp. 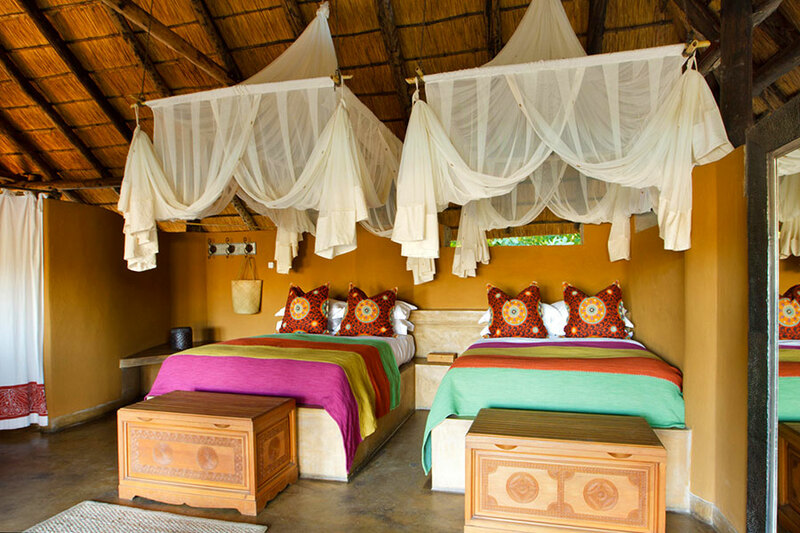 They stayed 5 nights at Tafika, which blends natural decor and wild surroundings with excellent hospitality. 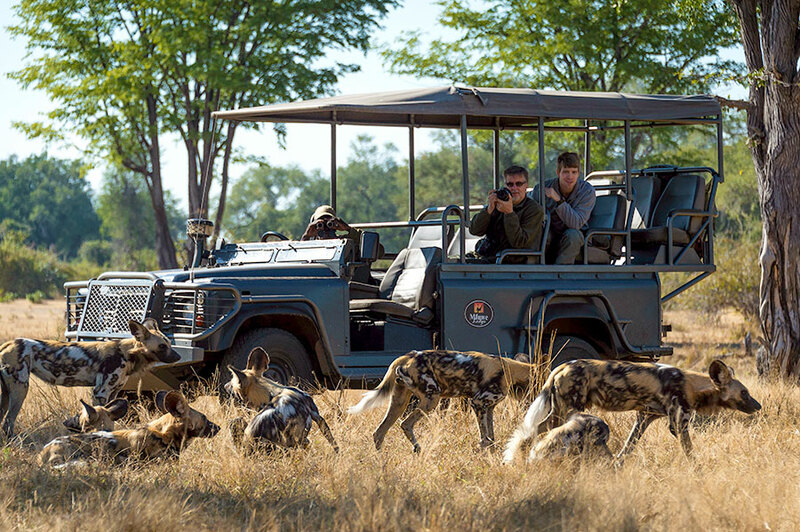 They got outstanding views of leopards, lions, and elephants on their game drives and also took a cultural visit to a local village and school. In the evenings, they indulged in delicious meals with the camp’s friendly owners. Finally, their Zambia Safari: Remote Luxury Package took them to the southern region of the South Luangwa National Park. Here, they stayed 4 nights at the intimate and luxurious Kapamba Camp. 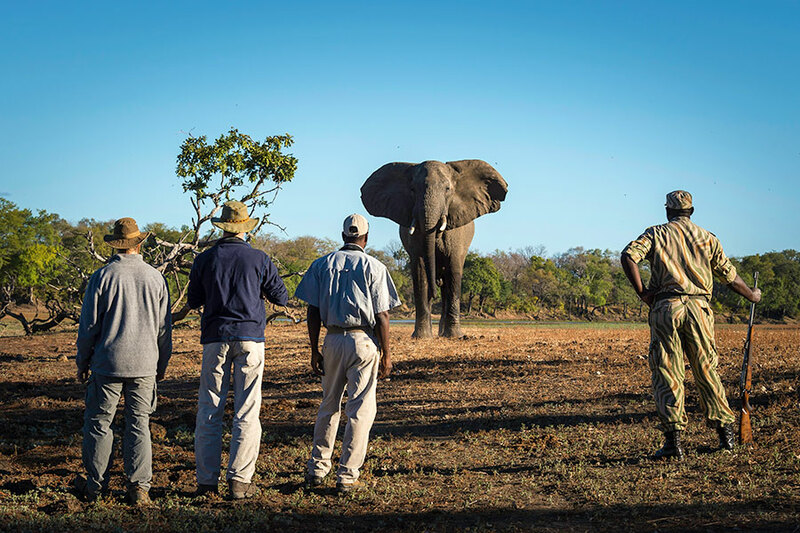 They spotted the camp’s rich wildlife, including lions, baboons, and Cape buffalo, right from their room, and enjoyed guided bush walks to learn about the area’s diverse ecosystem. 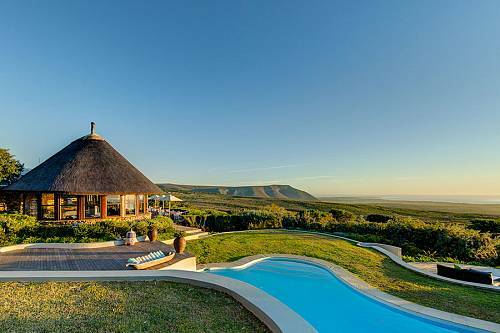 They were able to intimately experience African wildlife and the gorgeous natural surroundings while also enjoying the comforts of excellent meals, luxurious rooms, and their own relaxing deep stone tub for the perfect mix of adventure and tranquility. Welcome to Zambia! 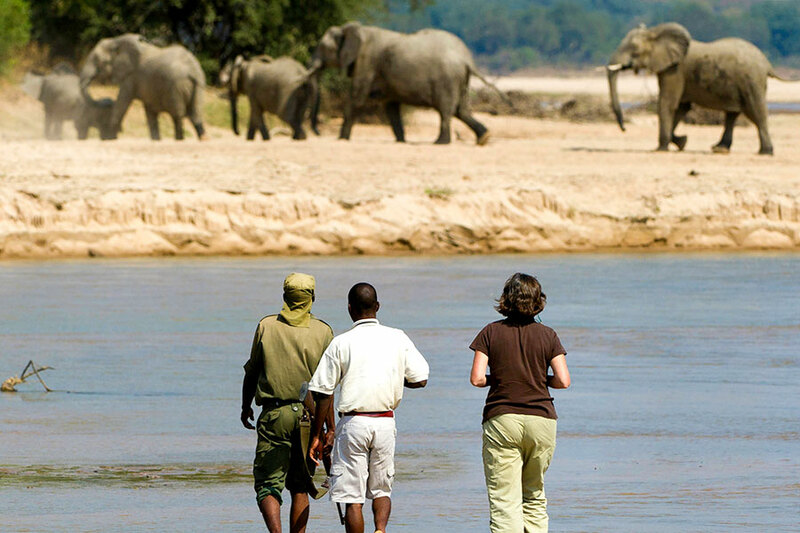 Upon arrival, you’ll be escorted to your connecting flight to Luangwa, where your luxurious accommodations await. Spend the next 5 nights between Chiawa Camp and Old Mondoro. 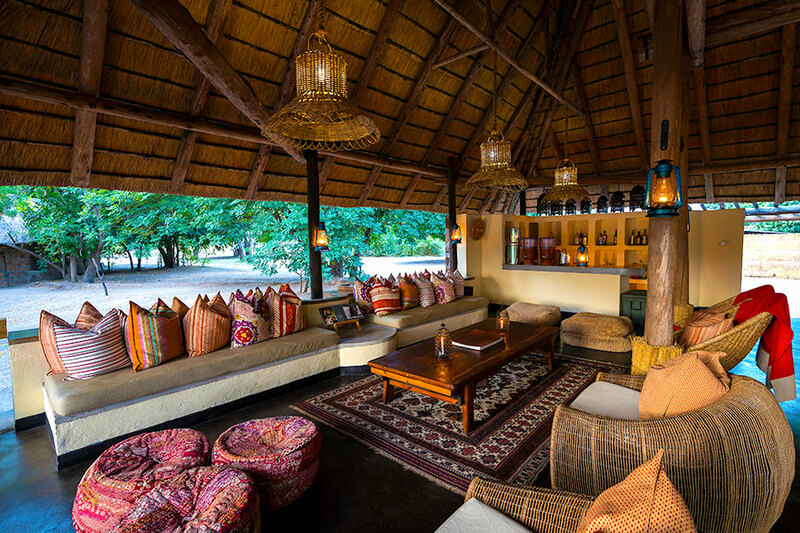 Located inside the Lower Zambezi National Park in Zambia and overlooking Zimbabwe’s Mana Pools is the owner-run Chiawa Camp. Resting peacefully on the banks of the Zambezi River in a grove of mahogany and acacia trees, Chiawa Camp has one of the most beautiful river locations in Zambia, where you can watch elephants and buffalo wander freely. 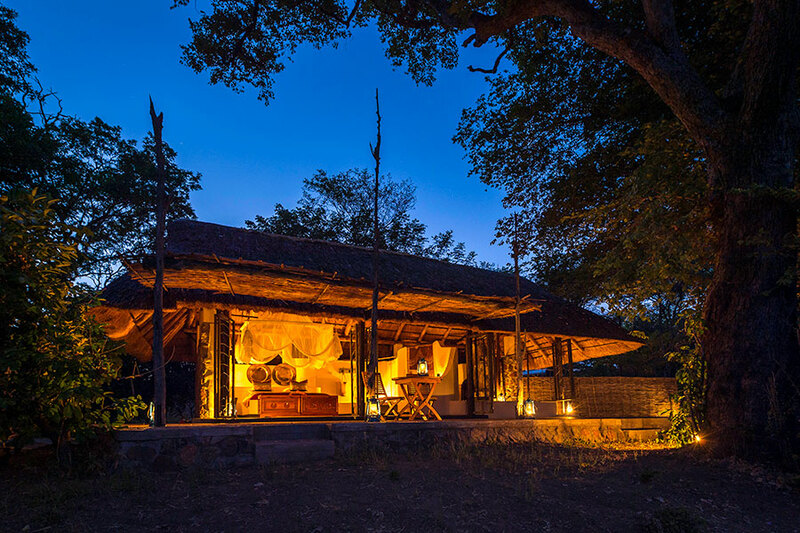 Chiawa Camp offers a truly luxurious, authentic safari experience. Take advantage of the many land- and water-based activities available, including day and night game drives, walking safaris, canoeing, river safaris, fishing, and Zambezi River sunset cruises. Old Mondoro Camp is located in Zambia’s Lower Zambezi National Park, about an hour downstream from Chiawa. The camp lies in a grove of acacia trees overlooking a maze of hippo-inhabited channels. Enjoy scenic views of vast flood plains and open woodland. 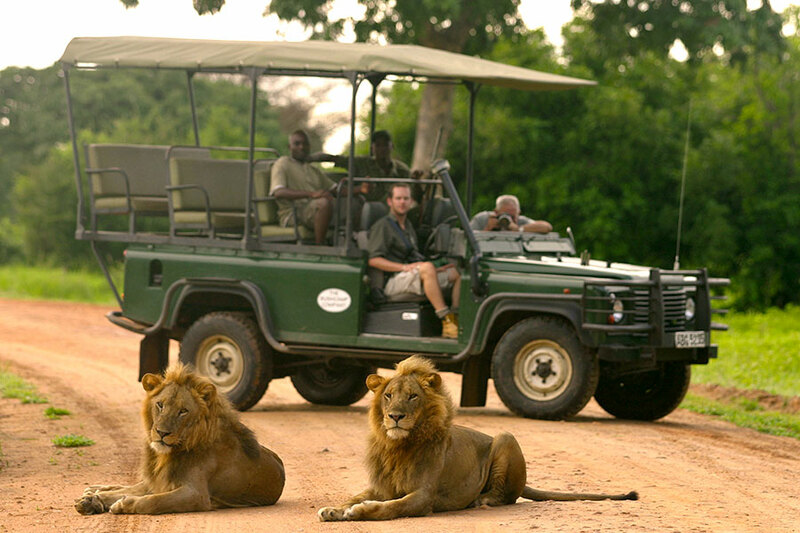 With 3 guides for 8 guests, Chiawa will give you a very personal safari experience. After a delicious breakfast, your journey continues with a flight transfer from Jeki airstrip to Lukuzi airstrip. Upon arrival, you will be transferred to your accommodations at Tafika Camp. 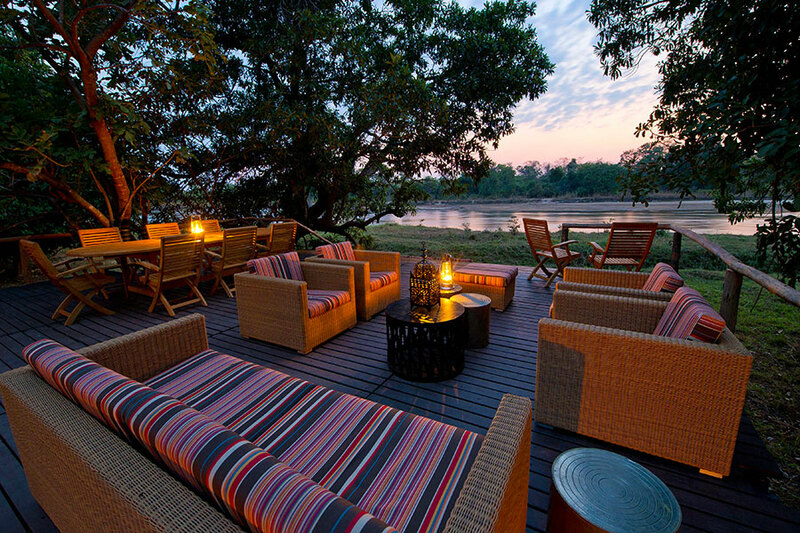 Tafika is spaciously set at a scenic bend on the banks of the Luangwa River. Sit on the banks of the river and try to spot the many nearby leopards. 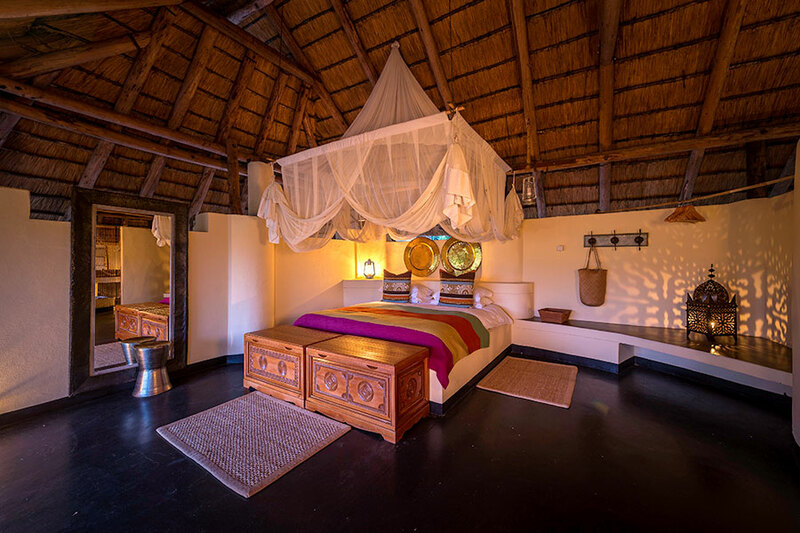 During your 5 fabulous nights at Tafika, enjoy day and night game drives, walking safaris, mountain biking, and a cultural visit to the local village and school. This morning, enjoy breakfast at the lodge followed by a transfer flight to Kapamba airstrip, where your accommodations await at Kapamba Camp. 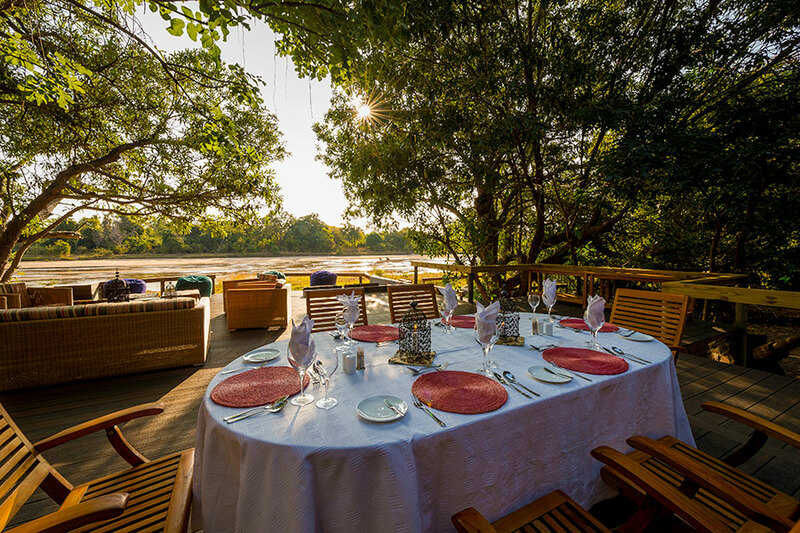 Set in a remote corner in the southern region of the South Luangwa National Park, you’ll find Kapamba Bushcamp lying on the banks of the shallow, spring-fed Kapamba River. Immerse yourself in this peaceful, secluded area, surrounded by some of the park’s richest wildlife with wonderful views over the watercourse. Stay 4 nights at Kapamba Bushcamp. 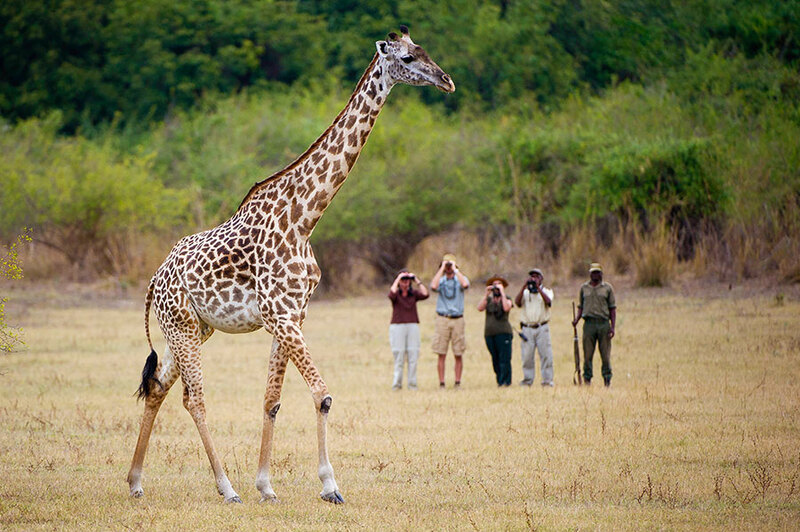 From Kapamba, you can explore the rich diversity of the surrounding area on guided morning and afternoon walks or day and night game drives. The river itself can also be used for a cool wade through the crystal waters or a scenic riverside sundowner. This morning marks the end of your journey. After breakfast, enjoy a shared transfer from Kapamba Camp to Mfuwe Airport, where you’ll begin your journey home.